The term root canal has become a catch-phrase for the terrors of the dentist, but Dentistry 390 is here to ease your worries. When decay gets too deep the interior of the tooth becomes infected and a root canal can save the tooth. When these chambers become infected it can cause great pain. Depending on the extent of the infection, antibiotics may be prescribed. Root canal treatment is actually removing the interior "pulp" of your tooth containing nerves and blood vessels while the tooth is anesthetized. 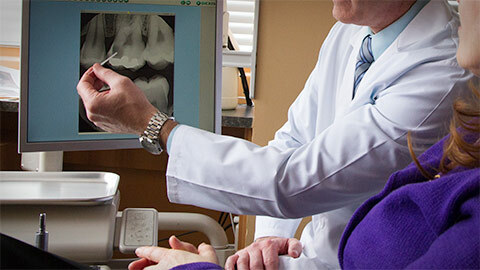 The root canal procedure involves cleaning, re-shaping, and sealing the inside of the tooth. A filling is placed to close the access and often a crown is recommended to provide strength. Despite what you might have heard, most root canal treatments are virtually painless and can prevent a serious infection and loss of the tooth. If you need more information about Endodontics in London, contact us today.